Valentine’s Chocolates using an ice tray! Now we’ve wished January goodbye and welcomed in February, it’s time to approach the next seasonal event: Valentine’s Day! Now, I am not a massive fan, I don’t need huge, extravagant presents to know the other half loves me, but it’s still nice to have a little gesture. Even more so, a homemade gift is perfect, and this little chocolatey treat is perfect for all the family. It’s easy enough for the kids to make, and effective enough to be a thoughtful, aesthetically pleasing gift! 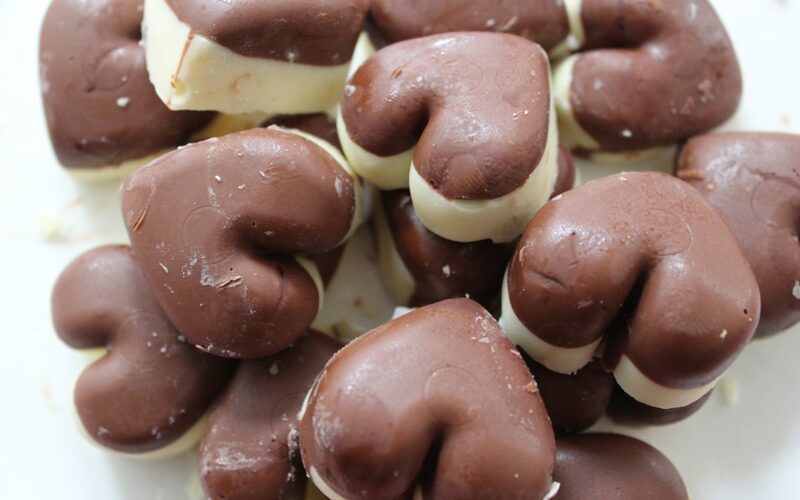 Read on for easy Valentine’s Chocolates using an ice tray! 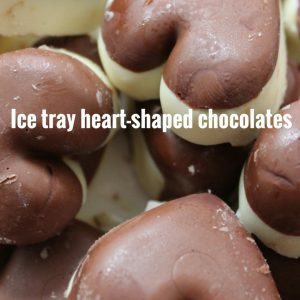 A silicon ice tray with heart shapes! Melt the milk chocolate, and fill the ice cube tray half full. Pop in the freezer again until solid. Pop the chocolates out, and if you can’t wait, eat! If you can, put into a cellophane bag and tie with a ribbon to make a sweet little valentine’s gift! Have a look at the video tutorial over on our Facebook Page, or on our Youtube channel! Let us know if you give these a go, and any easy Valentine’s gifts you may have!